The agency pitch process can be one of the most ridiculous aspects of the communications business. Ask around, and you’ll hear stories involving everything from call girls to vanishing CMOs in examples of just how far off the rails an agency cattle call can go. Before Pete Marino was chief communications and public affairs officer at MillerCoors, he ran his own agency and worked at Ketchum and Olson. He has more than a few stories, but nothing tops one particular pitch with an unexpected guest. "After a pitch in New York City, our prospective client invited me and a coworker out to dinner and brought along a call girl as his date," he recalls. "We know that because as the dinner progressed, she drank a bit too much and let the table know. It was, well, quite awkward as you can imagine." Every seasoned PR pro seems to have one, if not several, tales about a pitch taking a turn for the absurd. 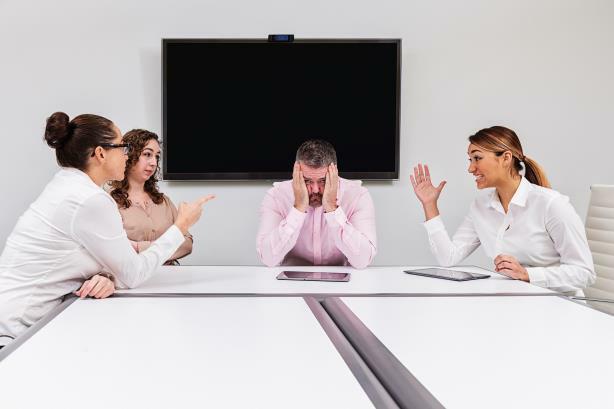 Hotwire London business development director Darryl Sparey recently penned a column titled "PR Hell – When Pitches Go Bad," rounding up horror stories from his firm and others. For instance, Ketchum London CEO Jo-ann Robertson writes, "I pitched something May last year and still haven’t heard a word from the client...despite chasing for months...I’m still bitter." That spurned commiserative tales on Twitter with the hashtag #PRHell, as well as a LinkedIn post from David Gallagher, Omnicom Public Relations Group president of growth and development in London. He lists his most embarrassing and just plain weird pitch moments from "once held in reception for eight hours" to "once appointed after first slide." How about being eliminated from contention after the first slide without cause? "Early in my career, I flew across the country to California with my CEO to make a pitch to a tech company," says Bret Werner, now president of MWWPR. "The CMO we were presenting to left the room about 90 seconds into the pitch. And he never came back. We were on introductions." "The other people in the presentation kept apologizing through the remainder of the pitch," he adds. Sometimes awkwardness can be caused by the fact that the CMO suite, as has been well-documented, is a revolving door at many organizations. That can lead to unfortunate, try-to-make-the-best-of-it moments for even seasoned pitchers. Mike Valdes-Fauli, president and CEO of Miami-based Pinta, recalls one time that he and his team flew to Detroit after Pinta was shortlisted for a significant account. "We had prepared for a couple of months. It was a huge pitch. We got through several rounds. Now it is down to three agencies," he says. "We fly in the night before the pitch from Miami and rehearse. We are on pins and needles heading into the client lobby when we are informed by another point of contact some news: that very morning, the CMO had unfortunately been let go." "But they still had us go through the whole dog-and-pony show while two very junior people with their laptops open took notes for whoever the future CMO might be," says Valdes-Fauli. "We basically did our entire show for two junior people and went home empty-handed in more ways than one." Think ghosting only happens among former friends and paramours on social media? Then you have to hear this doozy from Kelley Smith, Edelman SVP of strategic business development in Washington, D.C.
"Client calls with an urgent need, wanting our point of view, and to meet in person to discuss. A team of senior leaders spends several days getting insights, putting our point of view together, and developing actionable next steps. Client calls while senior leadership is in an Uber and literally five minutes from their offices for the meeting. Says someone critical to their team got sick. They need to reschedule. Says their assistant will call. Assistant never calls. We call. They say they’ll get back to us with a new time," she recalls. "They then ghost us. Forever."